I saw this infinity scarf on Ravelry and thought it looked interesting, so I bought the pattern and made it. It was easy to knit although it was a bit fiddly keeping all the strips in order. I am happy with the outcome but getting a good photo once again eludes me. First I tried putting it on a limb of a spruce tree. It just hung limp and lifeless. It needs to be on an object, I thought, so I put it on Garden Frog. That didn't look very good so I put it on my dog Lucy. It didn't show up very well. It needs to be on a chocolate lab or maybe a black lab. Since a pumpkin was handy, I tried it on that next. Nope. Still doesn't look very good. So I brought out my child size (2T) mannequin. 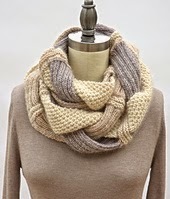 This infinity scarf is interesting whether it's folded double or hangs straight. It's just difficult to see in a photo. Well, my photos that is. Here's a link to the pattern on Ravelry. Wow, you really are a knitter now! Such an interesting scarf, I've never seen anything like it before, looks like it was a fun project. And the best modeled photo goes to Lucy! Damn that dog for being the wrong colour! :-) She looks quite content with it on though, my Lab would have eaten it. I happen to think the scarf is perfectly draped in each photo. It looks amazing! 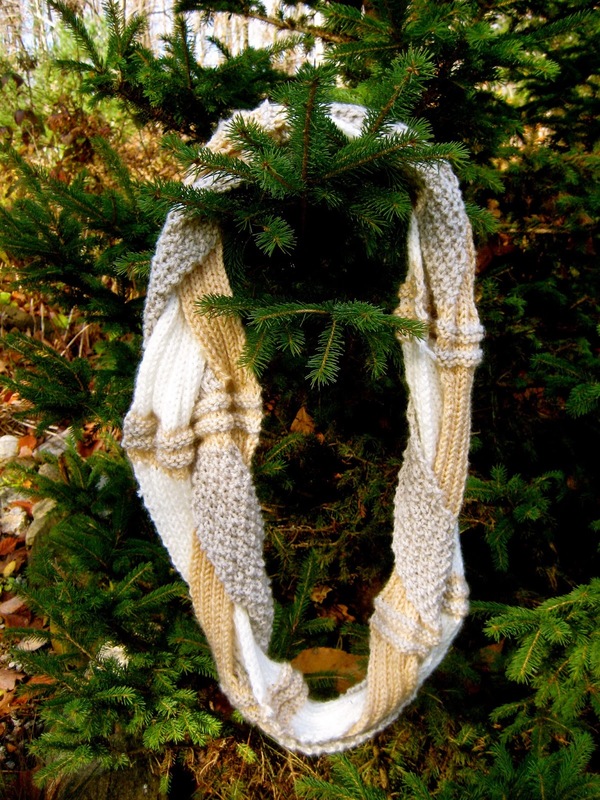 I really shouldn't be looking at another knitting pattern yet but this looks so snuggly! I love the scarf! 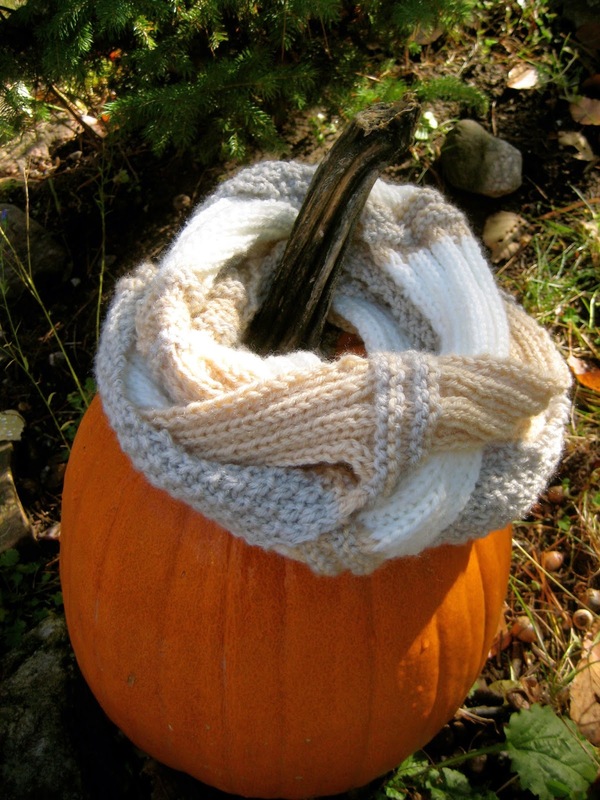 I've always wanted to make an infinity scarf. Your pictures trying to get a good picture are too funny. I made a cowl a couple weeks ago and was thinking I need to take a picture of it but am not sure how. Maybe my son can model it? I think you got some good photos! And it looks so beautiful and warm!